In a large pot, cook sausage over medium-heat until no longer pink (about 8 minutes). Drain sausage in a colander and set aside. In the same pot, sauté onions, celery, carrot, and garlic in olive oil until tender (at least five minutes). 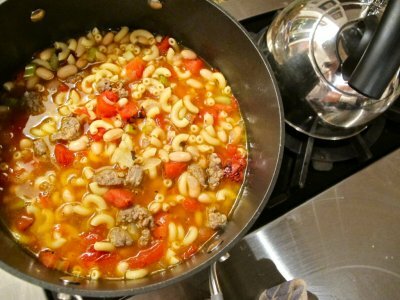 Add sausage, broth, water, beans, and tomatoes and stir to combine. Bring soup to a boil, reduce heat, cover, and simmer for 30 minutes. Meanwhile, cook pasta and drain. 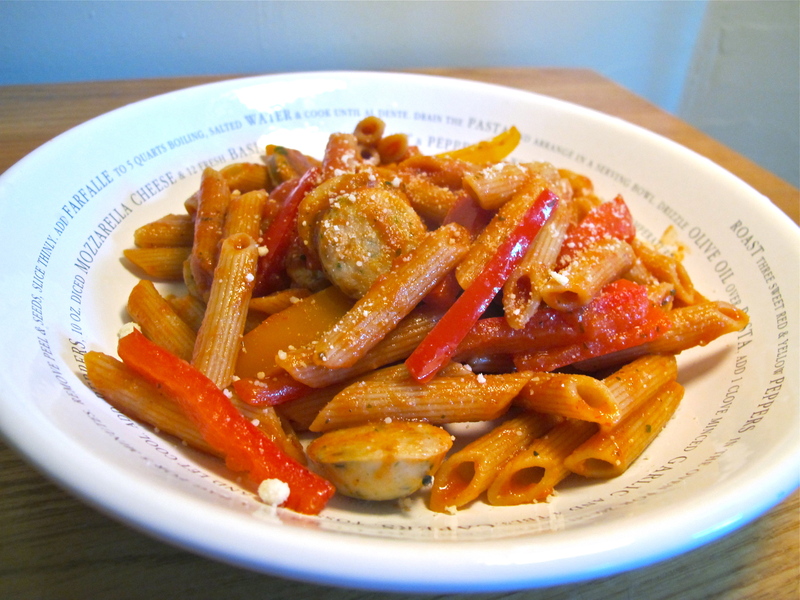 When soup is done, add pasta and simmer for 1 more minute… Enjoy! 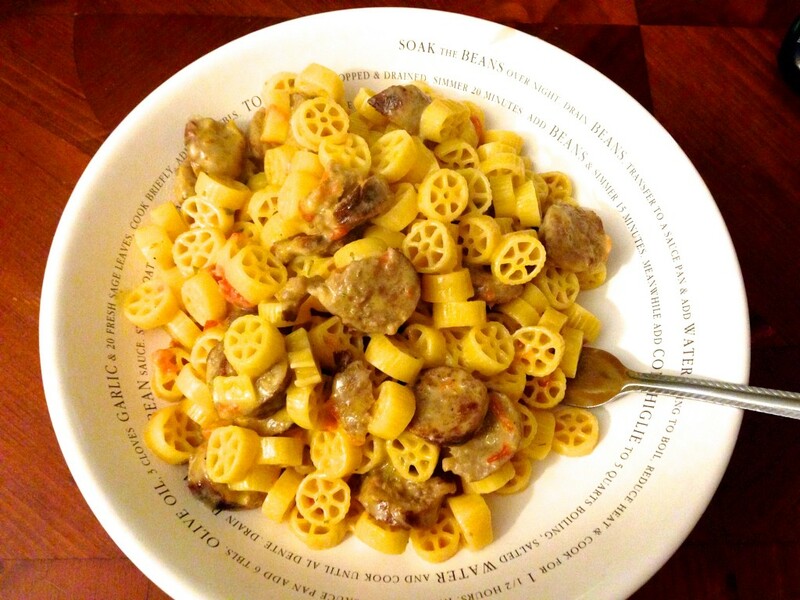 This entry was posted in Italian, Sausage, Soup on January 11, 2014 by Miranda @ Tempest Books.